2 oz. 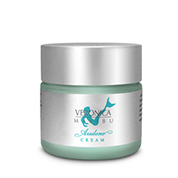 – The Veronica Malibu Mint Wash is a mild pH-balanced facial cleanser recommended for normal to oily and combination skin types. 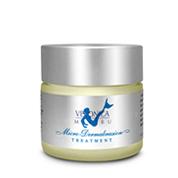 It instantly softens the tap water and dissolves oily and contaminated sebum from the skin's surface. A favorite in Malibu for over 28 years! Aloe Vera Gel, Stearic Acid, Hydrogenated Polyiosbutane, Shea Butter, Dimethicone Copolyol, Thyme Extract, Horsetail Extract, Sage Extract, Cetyl Alcohol, Triethanolamine, , Sodium Trideceth Sulfate, Menthol, Spearmint Oil, Peppermint Oil, Sassafras Oil, Sodium Hyaluronate, Carmine, Phenoxyethanol, Potassium Sorbate, Sodium Benzoate. Use twice daily. Apply a small amount (the size of an almond) to a wet face and massage gently in a circular motion for 30 seconds. Rinse thoroughly with warm water and gently pat dry. Apply moisturizer.